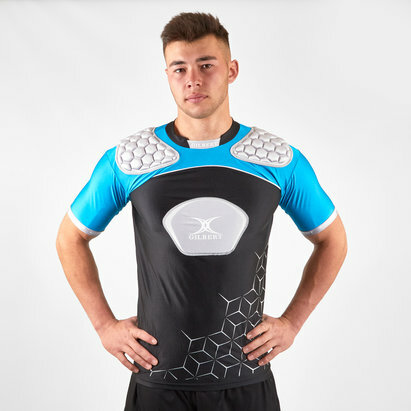 Make taking those hits easier when you pull on this Vapodri Raze Pro Vest Body Armour from Canterbury. 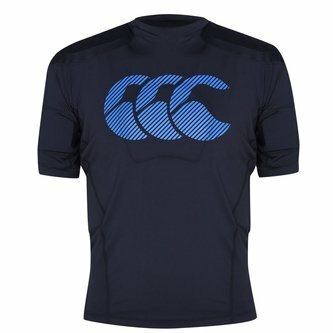 This Raze pro protective vest combines Canterbury's Vapodry wicking technology with the fit of the Rugby World Cup 2015 jersey. The front-facing side seams, underarm articulation and enhanced neck stretch guarantee the top fits perfectly. 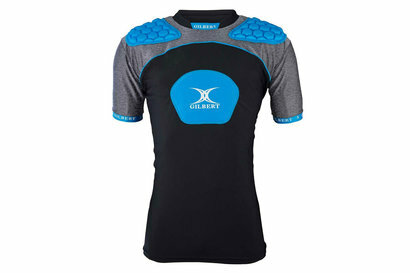 The laser cut EVA foam on the shoulders and across the neck, chest, biceps and kidneys provide customisable protection whilst the mesh panelling across the shoulders and down the centre of the back provide thermal comfort when worn under your shirt.